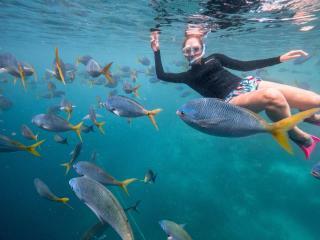 The Whitsundays region has excelled at the Australian Tourism awards, taking home four awards at the prestigious event. The Airlie Beach Festival of Music has been nominated for Festival of the Year in the 2019 Queensland Music People's Choice Awards and has just been announced as a category finalist. Daydream Island's premium resort is set to re-open its doors from April 10, 2019 after extensive refurbishments post Cyclone Debbie. 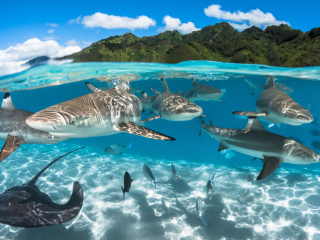 Despite a recent flood of shark attacks across the country, there has been a significant decrease in shark populations off the east coast of Australia. With the temperature rising and the silly season fast approaching, many people are beginning their annual Christmas shop expeditions. But for others, this time of year can be very stressful for families facing financial hardships. 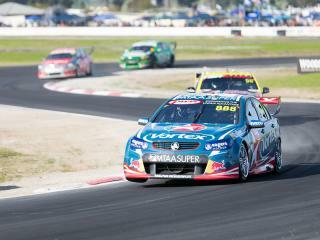 Rev heads rejoice as the Whitsundays Festival of Motoring announces its 2019 inaugural event. After devastating destruction from Cyclone Debbie in 2017, Hayman Island luxury resort is set to re-open next year with a brand-new look and snazzy new name. Located in the stunning Whitsundays, Poole Island is being sold for the first time in over 40 years for the same price you would pay for a family home in Brisbane. 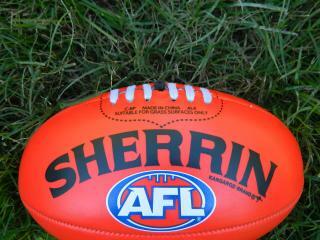 Plans are in the works to develop a new AFL club and state of the art sporting field in the town of Bowen in the Whitsundays. The Whitsundays Regional Council has been awarded the National Award for Excellence in Community Development and Service delivery for the Our Whitsunday: Our Utopia campaign. Set across 5.46 verdant acres along the stunning Coral Sea, Botanica Whitsundays has been sold for a healthy $7.08 million. Set to go under the hammer in Sydney last week, the award-winning property was purchased by an Australian company in private negotiations. 54,000 additional passengers are expected to reach the stunning Whitsundays each year following the addition of three new Virgin Australia flights last month. Departing Brisbane on Mondays, Thursdays and Fridays, the B737-800 aircraft will drop passengers at the Whitsunday Coast Airport (WCA) where the airport has recorded positive growth in passenger numbers for seven consecutive years. Turning out in the thousands over the weekend, Mackay put its best foot forward at this year’s annual Food and Wine Day in Queens Park. With over 10,000 punters attending the multi-faceted event, festival organiser Sonia Anderson expressed her delight at the record breaking turn out. 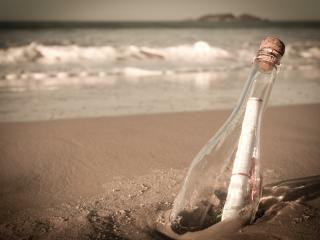 On a recent beach walk on luxury Whitsundays island Long Island, Charlton Craggs (staff member at a nearby resort) stumbled upon a message in a bottled washed ashore. The bottle, which had been at sea for more than two years, had travelled over six thousand kilometres before arriving at the tropical North Queensland island. 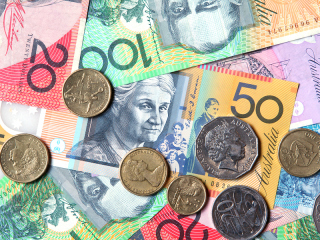 It was at the Whitsundays airport on their way back home that a Melbourne couple learnt they had won the division one Saturday Gold Lotto draw 3853 this week. "We were just about to leave Hamilton Island when we heard there had been a win there,” the excited woman described. "It was at that stage we started grabbing everything out of the suitcase. 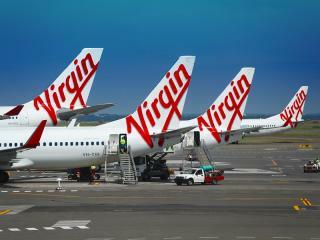 We were at Hamilton Island Airport and hoping like billy-o that it was us". If your family’s looking forward to hitting the water these school holidays, the kids may like to get involved in the Airlie Beach Become a Reef Warrior program. Open to any child (who can swim comfortably) over the age of 8 years, the budding Reef Warriors are taught how to help preserve the reef, to snorkel safely and to keep their ocean and waterways clean and healthy. At this weeks Tourism and Events Queensland (TEQ) industry forum, it was the reopening of cyclone-damaged Daydream Island, Hayman Island and Airlie Beach Hotel which was the talk among the regions tourism leaders. The Australian Bridal Industry Academy have announced the finalists in their twentieth annual Queensland Bridal Industry Awards. This year nine Whitsundays vendors have been nominated. With the aim of persuading all businesses working on the Great Barrier Reef to operate free of plastic straws, Marine Biologist and Cruise Attendant Nicole Nash has declared war on disposable polypropylene straws. On a tour of the Whitsundays region last month, Tourism Industry and Development Minister Kate Jones announced a $2 million injection of state funds to support six new tourism projects in the area. 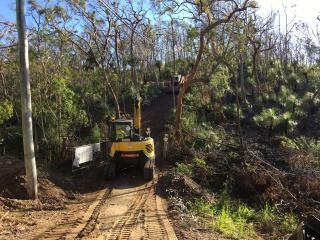 Twelve months on from Tropical Cyclone Debbie and powerlines have now been run underground, ensuring the lights stay on next time the Whitsundays bears the brunt of Queensland’s unpredictable tropical weather. Up and coming country music star Michaela Cook has been nominated for the Australian Country Music People's Choice Awards as part of the Tamworth Country Music Festival. Affectionately known as Micks, the 22 year old recorded a music video in the Whitsundays in the wake of Cyclone Debbie and now the ‘Everything Will Be Alright’ video has been nominated for best clip after garnering more than 250,000 views across social media in one week. 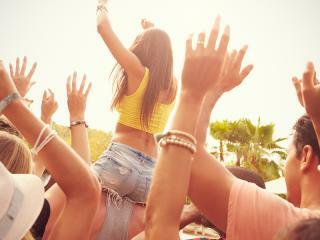 Could you pack up your life and quit your job in order to live your dream? That’s the concept that will take centre stage in a new Channel Nine TV series filmed in the Whitsundays. The new five part series called Living the Dream will focus on escaping life to follow your dream. Spread over five weeks, each episode will focus on film makers Dan Clougherty and Maxine Gray who quit their jobs to sail the Whitsundays. 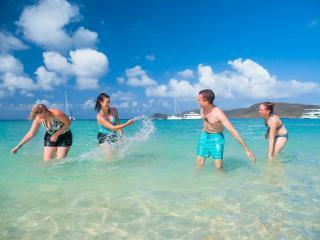 Canada’s largest online travel website has recently released a list of the 50 best beaches in the world. 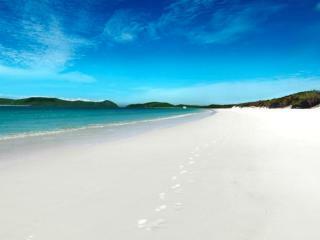 The list named the Whitsunday’s Whitehaven Beach as the second best beach in the world. Comparing a total of 1,800 beaches, Whitehaven came in second on the list, just missing out on the top honour. The list was judged by hundreds of leading travel industry professionals who all agreed that a visit to Whitehaven Beach is a must. Despite weathering damaging winds and significant flooding as a result of Cyclone Debbie earlier this year, the Whitsundays have taken the Queensland Tourism Awards by storm. Just seven months after the tropical cyclone ravages the Whitsundays leaving a trail of destruction in its wake, Whitsundays tourism operators have been recognised for their resilience with a swag of awards at an industry gala held at the Brisbane Convention Centre. High school leavers from all over the country are currently celebrating that special time of year known as ‘schoolies’. 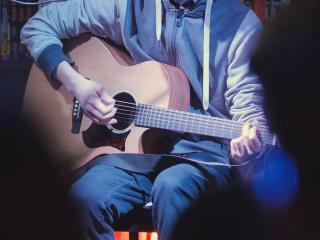 The end-of-year tradition celebrates the end of their studies and is a chance for them to let their hair down before starting university or full time employment. 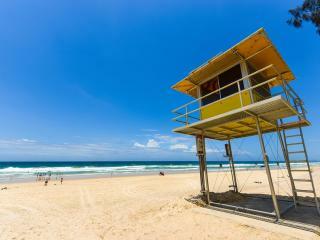 Although it’s most famously celebrated on Queensland’s Gold Coast, it seems high school graduates are increasingly choosing to celebrate in other beachside destinations. 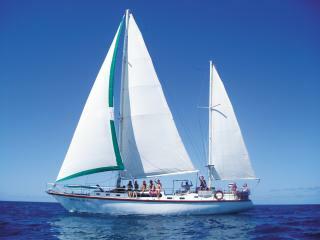 There’s no need to think big when heading out for a holiday on the waters of the Whitsundays. 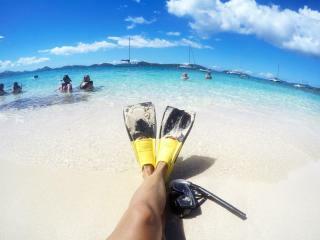 Despite the vastness of the calm waters, Whitsunday bareboat charters prove that it really is a small world after all. With no prior experience you can set sail on a yacht from Queensland’s Hamilton Island Marina and skipper yourself around the stunning islands of the Whitsundays. Children’s author Casey Hawkins was shocked by the incredibly warm welcome she received in the Whitsundays – so much so that her week-long visit has become a months-long stay with no desire to leave. Acknowledging the perks of having a job that allows you to work wirelessly from almost anywhere, Hawkins drove a campervan to the Whitsundays in mid-July intending to stay for just a couple of weeks, but the welcome that she received has seen her continuing to settle in months later. Despite suffering damage to infrastructure and damage to their tourism reputation earlier this year due to Cyclone Debbie, it seems that the Whitsundays still hasn’t lost its allure to international tourists. Recent figures released by Tourism Australia on International Visitor Statistics shows that the number of visitors to the region has actually increased by 8.7 per cent year on year with a total of 241,000 visitors in the year ending June 30 2017. The Whitsundays is set to become a mecca for music lovers from 10-12 November as the Airlie Beach Festival of Music brings 74 bands to the beachside stage over three days. Set in one of Australia’s most beautiful waterfront locations, the main stage sits on the tropical shores of the Coral Sea and offers festival-goers over 200 musicians and three main concerts in the heart of the Great Barrier Reef. This week the Whitsundays celebrates the Airlie Beach Race Week Festival of Sailing from 10 - 17 August 2017. Offering six days and seven nights of racing and free live entertainment, the Whitsundays Sailing Club is the perfect spot to view all the action, colour and spectacle of sailing. There is free live music every night, food stalls and some special events including a long late lunch on the lawn and a festival fun run. The Whitsundays are known for their magnificent beauty and access to the World Heritage listed Great Barrier Reef, but what could possibly be better than sailing around them? If you fancy waking up to guaranteed water views than a bareboating charter on the sparkling sapphire waters of the idyllic Queensland islands is the perfect way to switch off and unwind. You can choose to skipper your own yacht or let someone else do the work for you so you can appreciate the sand, sea and serenity. 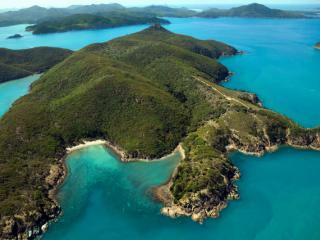 You can now buy your own tropical island in the Whitsundays. Well, that is if you have a spare $495,000 just lying around. Still, for those living in major cities that’s not much more than the cost of a small 2 bedroom apartment. Sydneysiders, Melbournians and Brisbanites we’re looking at you. Let’s face it, $495K for a whole island is a bargain, especially when you consider that it was originally priced to sell at $850,000. According to the agent tasked with selling the island, the price has been slashed for a ‘quick sale’. The Whitsundays have long been recognised as one of Australia’s most iconic destinations but now the holiday hot spot has achieved a new milestone – receiving a spot on the board of Australian Monopoly. Beating other popular spots such as Tropical North Queensland and the Gold Coast, the Whitsundays have been immortalised in an Aussie version of the family favourite board game following a public vote. A month since Cyclone Debbie caused widespread damage in the Whitsundays, tourism operators have put rival resort islands around the world on notice, telling holidaymakers to grab their beach towels and leave their passports at home. Tropical Cyclone Debbie hit Tropical North Queensland hard and unfortunately the Whitsundays were not spared from her destructive force. Some islands were hit worse than others, with some having to close down while others were able to continue operating almost immediately. Following a concerted clean-up effort, the Whitsundays are looking forward to welcoming back guests now and into the future. 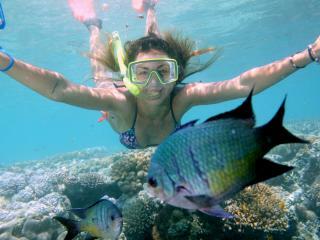 The sun is still shining, the water is still beautiful and you will still enjoy a wonderful Whitsundays holiday. Less than a week after Cyclone Debbie wreaked havoc across north-eastern Queensland, tour boats have returned to the water in the Whitsundays Islands. Although resorts on Hamilton Island and Daydream Island bore the brunt of the cyclone’s fury, tour operator Asher Telford said that most boats survived and that it was an exciting day in the Whitsundays as many businesses returned to normal. Airing on Arena on Foxtel at 8.30pm Sunday nights, the Real Housewives of Sydney have been causing quite a stir and none moreso than in episode four of the new series which saw the TV personalities head to the Whitsundays for diving, fishing and of course – drinking. In what has become a common theme of the reality TV format, the women headed to Airlie Beach for what was to be a relaxing break but saw confrontation come to the fore. In good news for tourists, Whitsunday residents and local businesses, the Whitsundays is about to receive a huge cash boost after the popular Queensland islands region was nominated to become part of the Regional Tourism Infrastructure Investment Attraction Strategy, a new national plan to drive tourism investment and infrastructure. Model and Instagram starlet Imogen Anthony and her notorious shock jock boyfriend Kyle Sandilands have celebrated the social media siren's 26th birthday in the Whitsundays. While not everyone can celebrate their special day dressing up as a mermaid or being gifted a gold Rolex, you can live it up and visit one of the most beautiful places on earth. The upcoming Australia Day public holiday is a chance for some time off work and falling on a Thursday this year, the Friday is looking very popular for chucking a sickie and extending your day off into an extra long weekend. With its warm sunny weather, crystal clear waters and sun-kissed beaches, Whitsunday holidays are looking to be one of the most popular ways to bugger off and celebrate Australia Day. Of course no one wants to do the cooking while on holidays and if you're looking to upgrade your burnt snag on bread to thick juicy Aussie angus beef grilled to perfect and served on a buttery soft brioche bun then look no further. 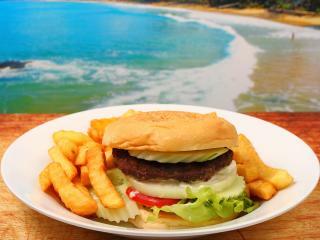 We give you the 5 best burgers in the Whitsundays. Leave your passport at home and forget about an uncomfortable long-haul flight, there's a spectacular tropical paradise right here in Australia. You don't need to save up your annual leave in order to visit. In fact, although the alluring islands of the Whitsundays have been a siren's song luring visitors to stay for weeks at a time, you can experience the sheer beauty and wonderment of the Whitsundays with just a long weekend. Christmas has come early for Sydneysiders planning on heading north to the spectacular Whitsunday Islands in 2017. Celebrating new direct flights from Sydney to the Whitsundays with a mega-sale, Jetstar offered one-way airfares for a bargain $59. Launching in 2017, the airline will offer direct flights to paradise from Sydney to the World Heritage listed Great Barrier Reef. The introduction of the new flights to the Whitsunday Coast will not only help to drive popularity in the already popular region but will also give the local economy a multi-million dollar boost. Having been snorkelling and diving the Whitsundays for over 20 years, GM of operations for Cruise Whitsundays Gary Kilby is baffled by international media reporting the demise of the Great Barrier Reef. Having been up close and personal with the reefs over the Whitsundays, Kilby says Hardy Reef is in the best condition he's seen in over two decades. 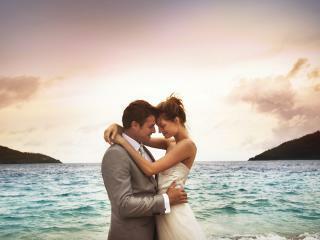 It seems more and more couples are choosing to ditch the overseas holidays for a honeymoon at home. 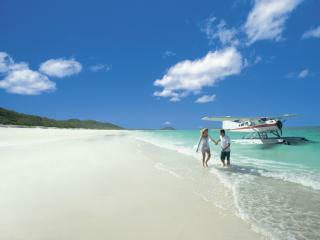 In particular, Queensland couples are increasingly opting to honeymoon in their own backyard rather than travel abroad. That's not the only honeymoon trend to hit the Sunshine State, it seems 'buddymoons' are on the rise as well. Growing in popularity, couples are booking out large hotels for a 'buddymoon', to spend time with their friends and family after the big day. The UK edition of famous fashion magazine Cosmopolitan has named Australia's Whitsundays the world's second most Instagrammable holiday destination. Falling just behind Mykonos in Greece, the magazine published an online article that listed the world's most Instagrammable destinations in which the Whitsundays was showcased at number 2. 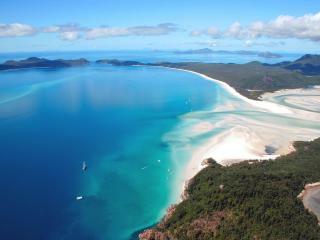 The Whitsunday Islands are a temptation too hard to resist. Soft white sand beaches are begging to be explored while the Great Barrier Reef Marine Park waits just below the surface, with secrets ready to be snorkelled. A charter catamaran tugs eagerly on her mooring lines, as if ready to set sail at any moment. 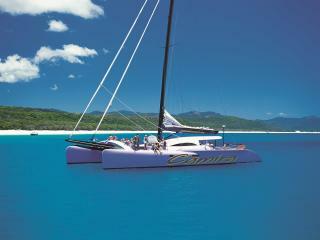 The vessel is here waiting for you, the perfect way to discover the beauty and tranquillity of the Whitsundays. From Saturday 20 August, Aussie A-listers flocked to Hamilton Island for fun, food, fashion and of course sailing for the annual Audi Hamilton Island Race Week. The general population of about 4800 residents and visitors swells to over 5600 when race week comes to town, with 48 flights from Brisbane, Sydney and Melbourne ferry in sailors, their family and friends as well as punters who are here for the atmosphere. South Molle Island has been sold to China Capital Investment Group for roughly $25 million. The new owners also own Daydream Island, expanding their share in the Whitsundays at the heart of Great Barrier Reef tourism. 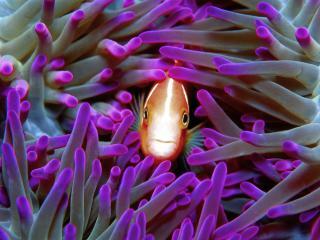 Just like the famous clownfish and blue tang of the Disney Pixar films Finding Nemo and Finding Dory, the Whitsundays section of the Great Barrier Reef remains unaffected by recent coral bleaching events. 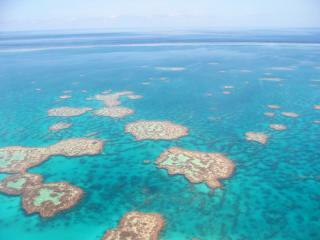 In fact, according to reef tour operators, the reef here is 'super healthy'. 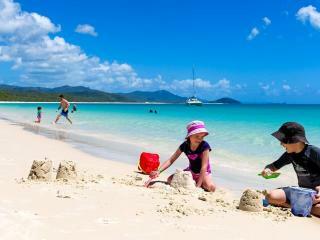 A recent travel survey has ranked the Whitsundays among the top 10 of the most popular regional holiday destinations in Australia for the July school holidays. The results of the survey placed the Whitsundays in eighth place on the list, alongside a number of other North Queensland holiday destinations including Port Douglas and Cairns, who took out the top spot. The Whitsundays is excited to announce that come November, the popular holiday destination will have its first full service five star resort on the mainland. A serious upgrade is currently underway at the famous Mirage Whitsundays resort which will see it receive construction of a new fine dining restaurant and health centre and a new five star rating. 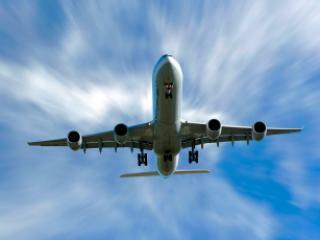 Customs and immigration requirements have delayed what were to be the first international flights into the Whitsundays. Despite previous estimates that flights would begin arriving this year, delays in the entry requirements as well as architectural plans have set the project back. Flights are now rescheduled to begin arriving between August and September 2017. When you've travelled the world and seen the sights on almost every foreign shore, deciding to finally settle down and make your home in the Whitsundays is a pretty bold testament to the region's beauty and charm. This year marks the 4th year of the annual Cruise Whitsundays Airlie Beach Running Festival which will be held Saturday 16 and Sunday 17 July 2016. Staged in one of Australia's most popular holiday destinations, the festival is the Whitsunday's premier running event and the region's largest mass participation event. 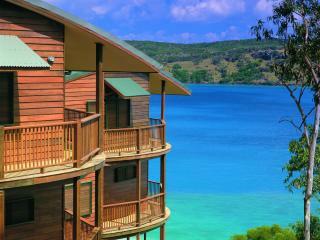 Fancy your own Great Barrier Reef island resort? All you need is a spare $20 million and one could be yours. In fact, two Queensland resorts are up for sale in the Whitsundays, and with the region experiencing a resurge in tourism, there's never been a better time to buy. The Whitsundays has positioned itself as an area of growth and it appears that national brands agree, with a number of national retailers investing in the region. 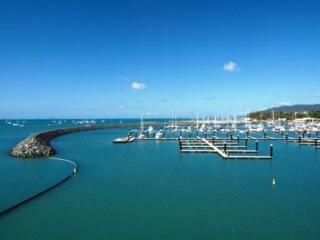 Indicating confidence in the region, local real estate is seeing a number of national retailers recently leasing properties in and around Airlie Beach and the Whitsundays. The Whitsundays' famous Whitehaven Beach has once again received the honour of 'Best Beach in Australia' in the TripAdvisor 2016 Traveller's Choice Awards. Not only voted the best beach in Australia, Whitehaven Beach was also awarded 'Best Beach in the South Pacific' despite facing some tough competition. Ranked number 2 in the top 10 list of local travel destinations for Aussies in 2016, Hayman Island is among Australia's top trending destinations, with flight bookings up 46 per cent compared to last year. After the introduction of services from Sydney and the Great Barrier Reef Airport as well as an $80 million upgrade, One&Only Hayman Island is now one of the most exclusive island resorts in Australia. 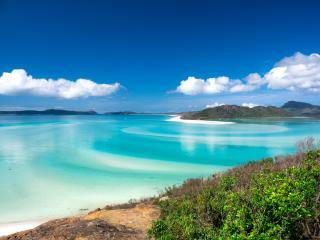 Promising yourself you'd make the time to visit the breathtaking Whitsundays? Just never seem to get around to it? Just like your diet, you'll start planning it 'tomorrow'? Well tomorrow never comes, and the time to visit the Whitsundays is now with visitors set to spike over New Year's and the Chinese New Year period. Exciting news out of the Whitsunday Regional Council this week as councillors unanimously voted in favour of beginning international charter flights to and from the Whitsundays in 2016. Pitched by specialist air charter firm AVMIN, the first international destination to connect the Whitsundays to the rest of the world will be New Zealand. Asia was also acknowledged as a growing market that will be targeted shortly after. This week saw popular hit radio station Nova announce some exciting news for Australian fans of Taylor Swift. In conjunction with Qantas, the popstar heavyweight is set to perform an exclusive and intimate gig on beautiful Hamilton Island as part of their Red Room concert series. Promising to be the biggest in the series so far, this once-in-a-lifetime experience offers an unforgettable night with one of the world's biggest stars and has sent Australian fans of Taylor Swift into overdrive. A holiday on Hamilton Island conjures up visions of lazy days in the sun, leisure time spent relaxing on soft white sand and working on your tan as gentle waves lap at the shore. While this is a pretty accurate picture of many visitors like to spend their time at this tropical island paradise, there's much more to see, do and experience on Hamilton Island. Although four years have passed since Airlie Beach last hosted its air show, it appears the organisers have been wisely using their time to make this year's event the biggest and best yet. Held over the weekend of September 26 and 27, Airlie Beach accommodation is gearing up for the influx of aviation enthusiasts set to take over the town at the end of the month. 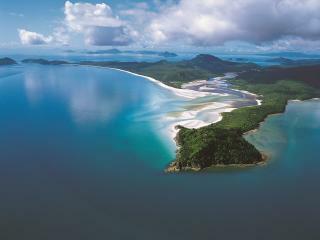 This month marks the first visit of Royal Caribbean ship Legend of the Seas to the Whitsundays. Docking at the Cruise Whitsundays Port of Airlie, the occasion was celebrated by an acceptance of plaques and the exchange of keys in a special ceremony welcoming the cruise ship to the Whitsundays. Attended by Cruise Whitsundays staff, Whitsunday Regional Council representatives and the boat's crew, the ceremony recognised the economic contributions the cruise ship will make to the Whitsundays. Last weekend saw magnificent conditions for the third round of the Off Beach Sprint Series hosted by the Whitsunday Sailing Club. Setting their sights firmly on the titles, the Green Fleet A Junior and Off Beach Senior categories enjoyed 15 knot winds and glorious conditions which marked week 3 of the 5 week event. With Valentine's Day fast approaching, you might be scrabbling to come up with a gift idea. Roses and chocolates just aren't going to cut it this year. And what is a romantic gift for a guy anyway? Something tells us he's not going to be keen for flowers. 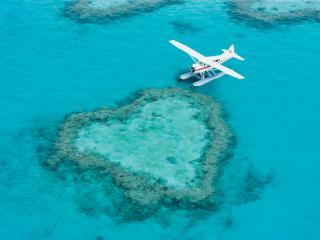 But what could be more perfect than a relaxing, romantic getaway to the sundrenched Whitsundays? Spend this Valentine's Day in the beautiful, intimate surrounds of Hayman Island's 5 star resort and really reconnect with each other. 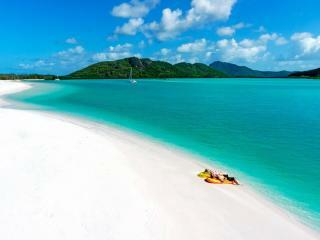 The Whitsundays are a stunning group of islands in Tropical North Queensland that draw thousands of visitors each year. Home to the spectacular Great Barrier Reef as well as a number of other incredible natural attractions, this unique holiday destination stretches for an area of approximately 300 square kilometres. 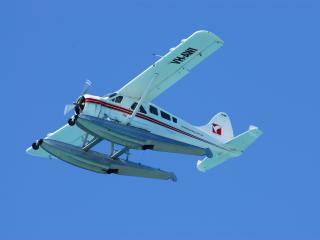 For the ultimate way to see the most of the Whitsundays, scenic flights offer a spectacular birds eye view of the reef and island chains below. One of the most popular of the Whitsunday Islands, Hamilton Island is a favourite holiday destination particularly with families. 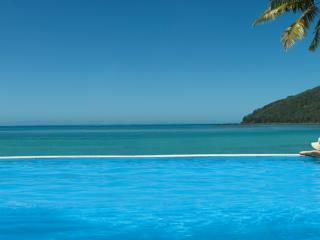 Staying on Hamilton Island is like your home away from home. Well, your dream home away from home perhaps, but thanks to convenient and affordable accommodation options, your stay on Hamilton Island can also offer all the comforts of home. With 74 islands making up the Whitsundays, you could be forgiven for feeling a little overwhelmed when it comes to booking a holiday in this little slice of heaven. But fear not, for there are plenty of ways to make things easier for yourself, the main one of which is of course Whitsunday holiday packages. Hamilton Island's famous Race Week is just around the corner and as Australia's largest offshore keelboat regatta, it's sure to attraction thousands of spectators and yachties for a week of fun and fierce competition. One of Australia's most popular yachting events, Hamilton Island Race Week is a firm fixture on the sailing calendar both in Australia and internationally and will hit the Whitsundays from 16 to 23 August. As winter descends on the southern hemisphere, much of Australia is feeling the freeze as the cooler weather takes hold, particularly in the southern states. With expendable income just as frozen as the morning dew, holiday makers are searching for an affordable way to combat the lowering temperatures with sunny days, warmer climes and blue skies. 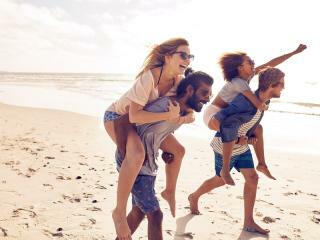 Setting their sights on domestic holidays rather than more expensive overseas destinations, travellers are looking forward to warmer escapes with prices as low as the temperatures back home. The Whitsundays are a popular holiday destination renowned for their relaxed, tropical island atmosphere and proximity to the Great Barrier Reef. 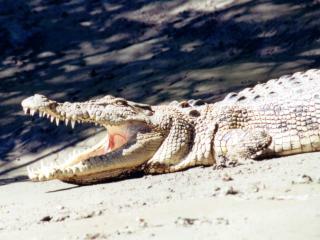 However, not every Whitsundays holiday is all coral and beaches, there are actually a number of other unique experiences you can enjoy while visiting this magical part of North Queensland. The Whitsundays are known for their wonderful beachfront dining options and beautiful views of the stars, however earlier this month it was stars of a different kind that were being spotted in Airlie Beach. Causing quite a stir with the locals and visiting tourists, Brad Pitt and Angelina Jolie were spotted heading out for dinner in Airlie Beach, shaking hands and welcoming photos with the crowd of fans they'd attracted. 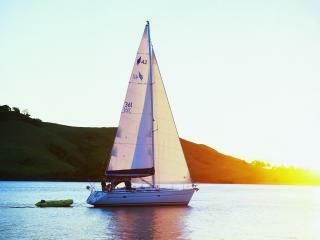 The Sydney to Hobart Yacht Race is a quintessential part of the Australian summer calendar. Ifit's got your blood pumping and your heart yearning to take to the open waters you needn't be rich and own a yacht or have to wait another year to see those mighty boats set sail. 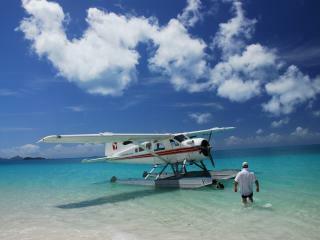 Just head to the Whitsundays. 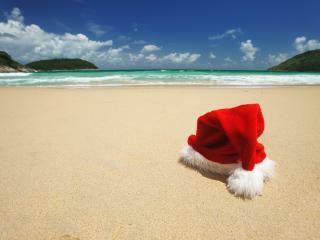 Daydreaming of a Whitehaven Christmas? Christmas in Australia is always hot so it's the perfect time to hit up the beach and relax, but often we allow ourselves to get so caught up in the festivities that the holidays aren't particularly relaxing at all.